How to convert WMA to M4A like a Pro? 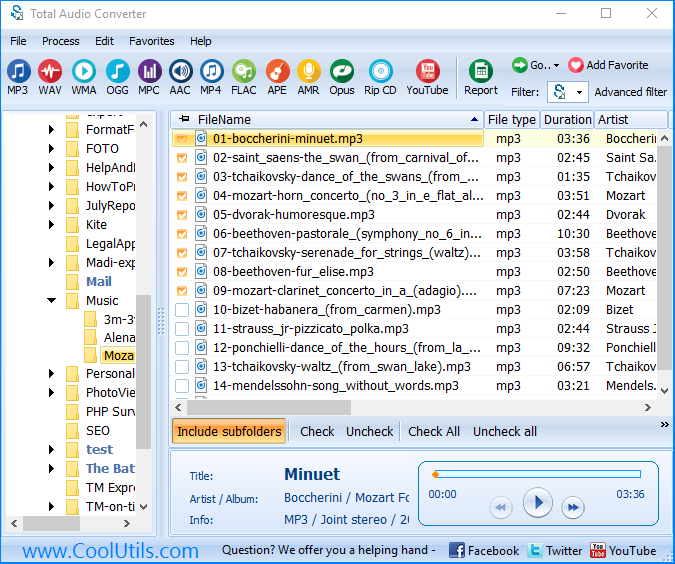 You are here: CoolUtils > Total Audio Converter > How to convert WMA to M4A like a Pro? How do you convert WMA to M4A? M4A is a relatively new audio file format. M4A stands for MPEG 4 Audio, and M4A is actually its audio layer. M4A reduces file size in such a way as to save disk space and preserve sound quality. In a way, it is similar to MP3 and WMA. However, M4A shows much better sound quality and takes less space than MP3 or WMA. Besides, M4A files do not require any licensing or distribution payments, as MP3 and WMA do. M4A is also referred to as Apple Lossless and Apple Lossless Encoder (ALE). Why Convert WMA to M4A? WMA uses a similar compression pattern as MP3 and therefore it cannot boast great sound quality. M4A is already thought to be one of the most promising audio file formats due to the evident advantages over WMA. Therefore, you may need a good WMA to M4A Converter in the foreseeable future. 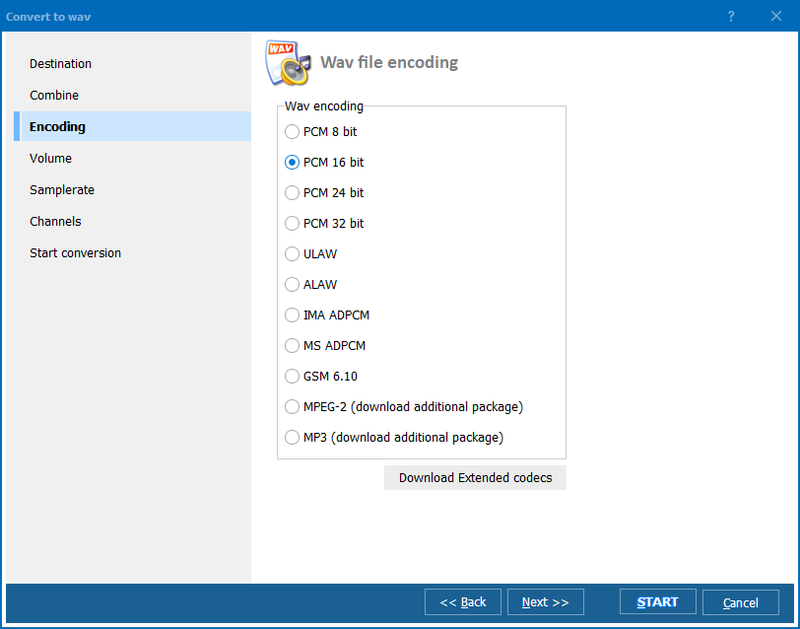 Total Audio Converter is a new file conversion tool that supports more than 30 audio formats, including M4A. It is very easy to use, and it does not usually take a long time for even a newbie to learn how to handle it. 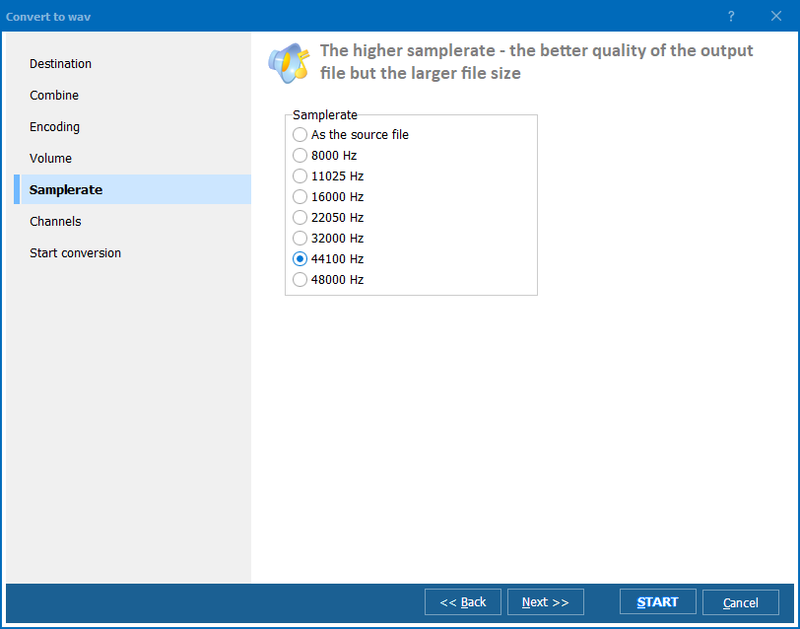 Total Audio Converter has a number of new features that put it above all existing converters. You can batch-convert hundreds of files just as fast as one file. Total Audio Converter can be launched from within other programs via command line. Besides, you can convert WMA to M4A right from the desktop, because the program integrates into the right-button menu. This WMA MP4 converter features a built-in audio player, so you can check sound quality before and after conversion. Converting WMA to M4A is very easy. All you need to do is select a folder with your WMA files, check the files you need to convert; select Convert to and specify M4A. The Wizard will offer you default settings, but you can make your own settings. When you have made all your selections, click Start. Total Audio Converter is as user friendly as it is cheap: it’s worth only $24.90, and it is available online! There is hardly a converter in the whole world that can help you with all popular formats in less than no time. To see how it works, please, download the trial version and use it for 30 days!